As most of you have already heard, today's baseball action at Target Field has been postponed due to snow. Yes, its April 14th and it seriously looks like I'll have at least 12" of new snow in my back yard. 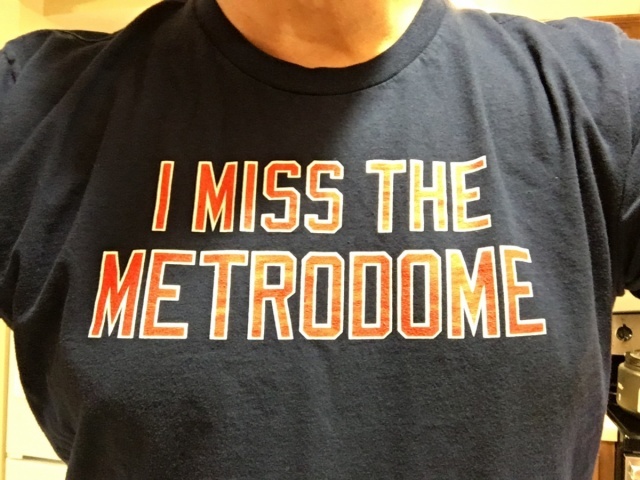 I apologize and ask for your forgiveness in advance for my melancholic, SNOW postponed Game Thread introduction. Anger - At the weatherman and Mother Nature. Despair - Any hope of Spring coming is dead. Anguish - Part of the sad family. Really just means pain. Regret - I should have moved away years ago. Sorrow - Will I get to fish on open water again? Hostility - Towards my snow removal equipment and shovels. Rage - the snow just keeps coming and coming. It's like the mail. Hopelessness - will it ever go above 40 degrees? Anxiety - Summer will never come. We are entering a mini ice age. Alcoholism - Might as well stay in and have a few more cocktails with dinner. Binge eating - Might as well eat another eclair. Not putting on a bathing suite this year anyway. Hysteria - Emotions are on edge. Good Def Leppard album though. Arthritis - Cold is not good on the joints. Slipping and falling on ice doesn't help either. Loathing - At the cold, snow and people smart enough to live in a better climate. Grief - Spring has died. Just thought I would share what some people are experiencing around the area. I know a few people out there love this weather but I like the change in seasons. Its time to change this ^*#@&*% season! I suppose we will go from snow directly into tornadoes and extreme heat. No buffer season this year. I was really looking forward to watching the Twins play today for a little entertainment. Now it looks like my entertainment will consist of firing up the snow blower and watching my 14 week old puppy going to the bathroom outside with snow up to his neck. Go Twins!! Hopefully you can play some games at home this year before July! Great intro! I feel all of that pain in this endless winter. I’ll go with arthritis and alcohol there. And binge reading and watching. As someone who grew up in northern Minnesota in some bad winters in the seventies and eighties, this might be the longest winter ever. 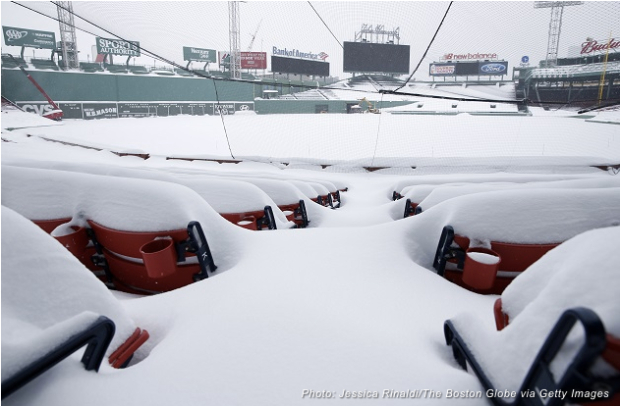 If we were going to have multiple games cancelled due to winter-like April, why couldn't it have been 2016?Then the snow would have been seen as a bit of a blessing. The things we have to put up with to live in the best state in the country. Great point! I should have listed binge watching and reading. Who'd a thunk you could get through 7 seasons of the Sopranos in a week. Depending on when this game is made up, we will try to reuse this thread. It will serve the dual purpose of game Thread and a good look back. Chicago isn’t a lot better but just warm enough better that we aren’t getting snow, gratefully. As of this writing. Typically in spring the temps here are cooler than in Minneapolis. The spring breezes off the lake keep the chill in the air longer into the spring despite the warmth of the sun. Really fed up with this weather. Horrible planning by the MLB. If we're forced to stay in we should at least be able to watch the Twins play somewhere warm. Keeps the riffraff out. I heard that all the time when I lived there. Did the MLB plan this mid-April blizzard? I don't think there was any way to anticipate this. Did you want to start the season with 20 straight road games? Moving the start of the season up in general was a horrible idea. We aren't the only teams having trouble getting games in. Great idea on reusing the thread! BTW, I've got 11" of snow thats fallen so far on my deck. It's supposed to continue to fall throughout the day tomorrow. I'm guessing we end up with 14". I don't see any way that they'll be playing tomorrow either. Like the 1991 Halloween Blizzard, this mid-April Snownamie is an aberration.I am so happy that the Twins play in a real outdoor ballpark and not a fishbowl retractable roof stadium. You might be right about that, but this would be happening whether the season moved up or not. My wife says the Twins' facebook page has announced postponement of tomorrow's game. I'm not on facebook myself but I think someone else can confirm this. Confirmed via MLB. Looks like Lynn will be starting Tuesday. Edited by Craig Arko, 14 April 2018 - 04:25 PM.